A LifeSaver is not a pathbreaking invention. It is just a bottle equipped with high precision filtering equipment and also devices to kill pathogens and virus. This bottle can be distributed by the WHO in illness prone regions where it is needed to clean the water regularly. 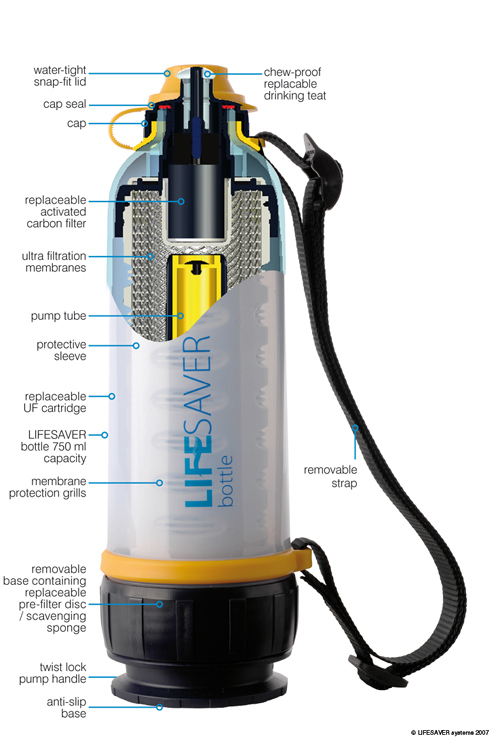 Each individual will then have access to clean water through the LifeSaver bottle. This entry was posted in Cooling, Energy, Medicine, Technology, Uncategorized and tagged Clean water, LifeSaver bottle. Bookmark the permalink.